Rarely available 4-bedroom home on cul de sac in immaculate condition! Destiny II with custom floor plan gives you extra large bedrooms and living area. Hybrid GeoSpring water heater and PV system make this home very energy efficient. The patio is under the shade, inviting you to kick your feet up after work or to entertain your friends while enjoying your new home. Walking distance from both Mililani Ike Elementary and Mililani Middle schools. Walking/jogging paths, 7 rec centers and pools, community events exclusive to Mililani residents - no wonder people jump at the chance to own a home here! Fresh paint on exterior and interior, new upstairs carpet and range, this beautiful home is move in ready. 2 Parking Spaces. 2 Car Garage, Garage. Cul-De-Sac, County Road, Paved Road. 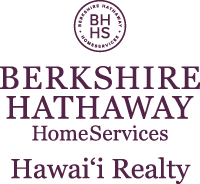 I am interested in 95-1014 Kekahi Street UNIT 24, Mililani, HI 96789. Courtesy: West Beach Realty, Inc.
Sign up for Inside AccessTM to view recent sales near 95-1014 Kekahi Street UNIT 24. Courtesy: Pacific Resource Realty Inc.